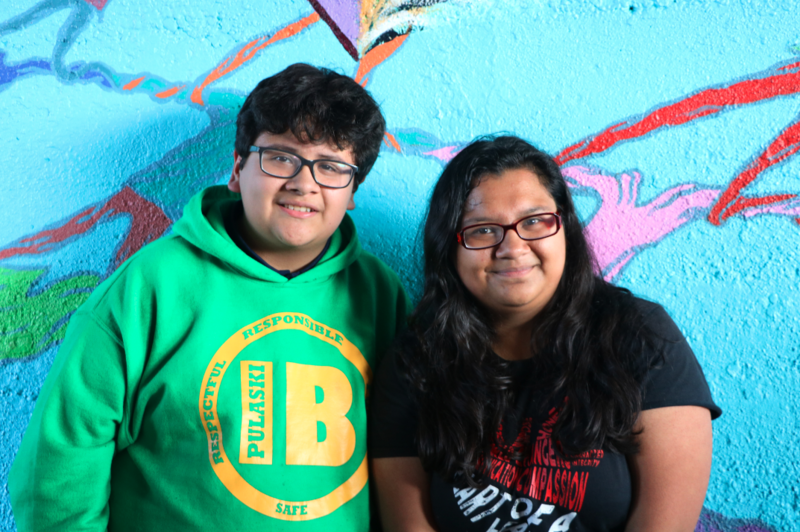 On Monday, September 17, 2018, a crowd of more than two dozen members of the Humboldt Park community gathered near the east wall of the Metra underpass at 1801 N. Kostner to celebrate the official unveiling of a massive, richly colored mural, titled “Esperanza, Communidad, y Cultura (Hope, Community, and Culture),” which was created by students at North-Grand High School. Those gathered included Alderman Gilbert Villegas of the 36th Ward, representatives from the Chicago Fire Department, and many of the students, educators, artists, and school staff members who contributed to the design and installation of the mural, which was funded by Chicago Arts Partnerships in Education (CAPE). 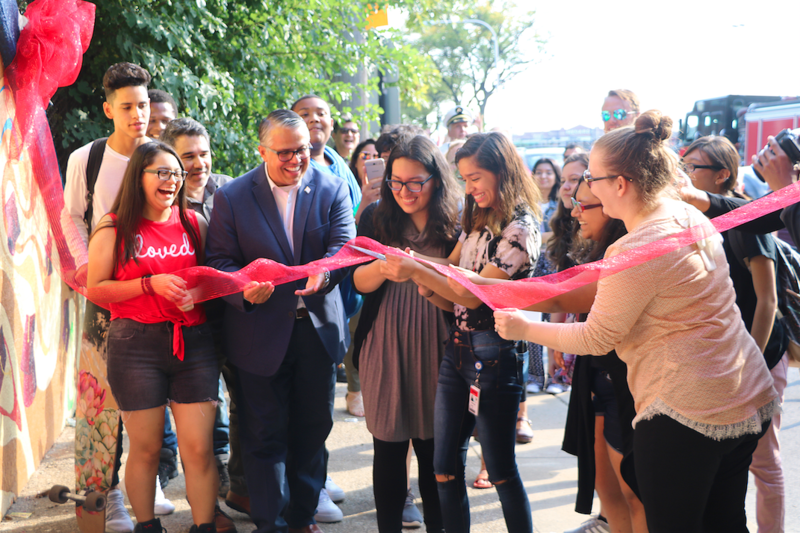 The dedication ceremony included remarks from Alderman Villegas, North-Grand teachers Michelle Livas, Lisa Welsh, and Beth Barrow-Johnson, Principal Emily Feltes, CAPE Teaching Artist Juan-Carlos Perez, and North-Grand student Angelica Ballesteros. After the speakers concluded, the crowd moved closer to the finished mural on the east wall of the underpass, where a sparkly red ribbon waited to be cut. It took a few tries, as the ribbon cutters and onlookers laughed, but finally the ribbon fell and the mural was officially dedicated. Alderman Villegas and members of the Chicago Fire Department strolled the underpass to examine the artwork and speak with the young artists about their creation. The mural’s bold colors present viewers with motifs related to the heritage and culture of the students and their broader community, as well as inspiring images and poetry that give new students a glimpse of what to expect from their four years at North-Grand High School. 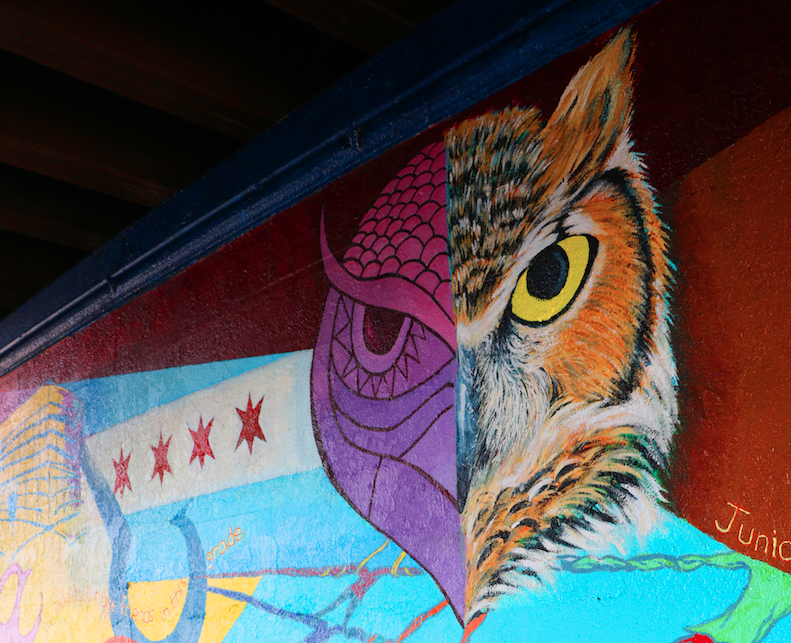 The mural prominently features an array of eagle-owls, the North-Grand school mascot. The students and teachers are already planning to expand on their work by painting the west wall of the underpass next year. The mural, first proposed three years ago as part of the 36th Ward’s participatory budgeting process, eventually found its way to completion due to the persistence of the North-Grand community and funding from CAPE. Metra granted permission for the project, which is installed on their property. The mural project is the newest extension of a long-term partnership between CAPE and North-Grand that brings extensive teacher training, material resources, and arts integration programs to North-Grand classrooms, at no charge to the school. 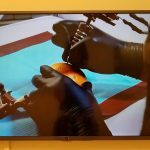 These CAPE programs are generously supported by grants from the Illinois State Board of Education’s 21st Century Community Learning Centers program, the Mansfield Family Foundation and other corporate, foundation, and individual donors.